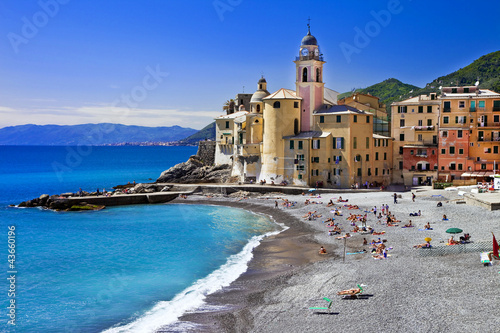 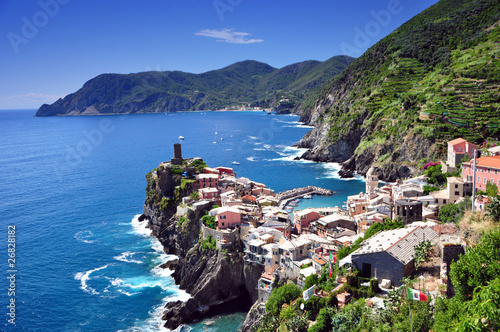 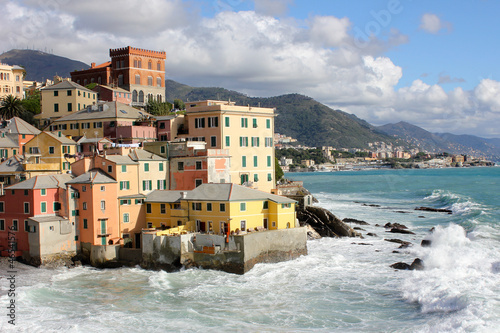 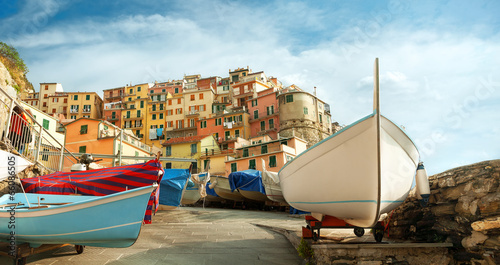 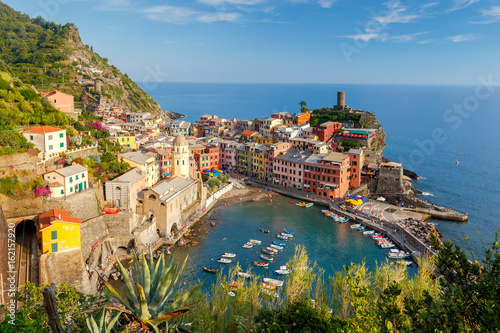 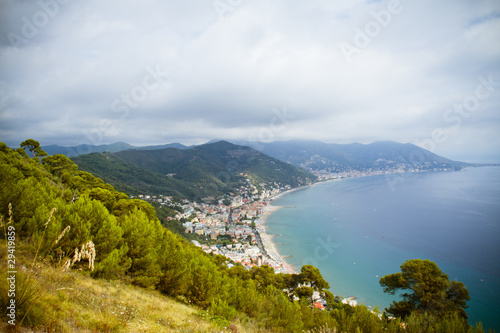 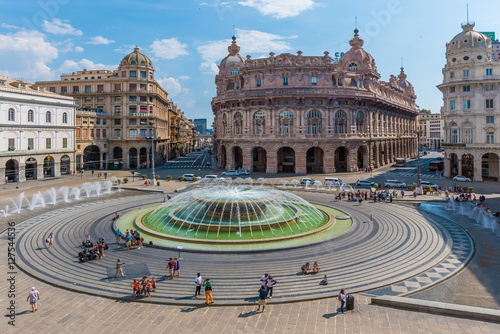 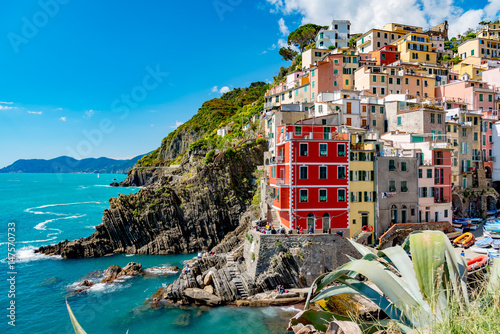 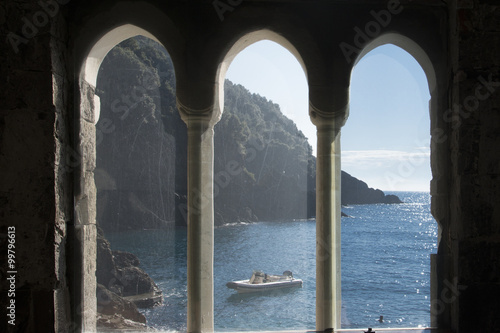 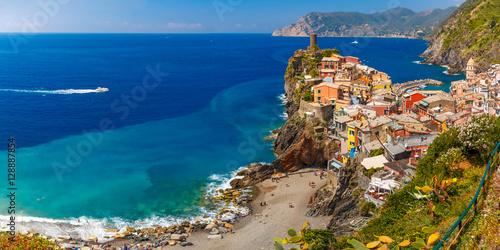 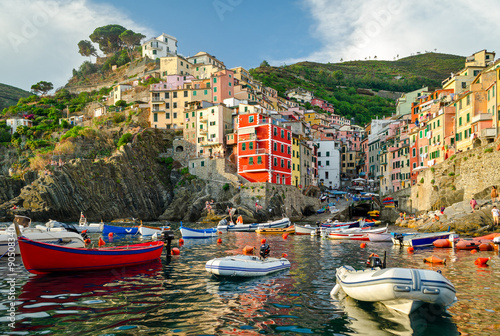 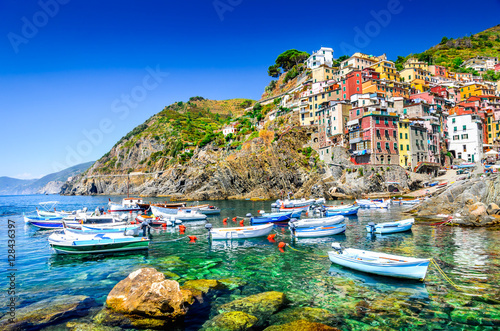 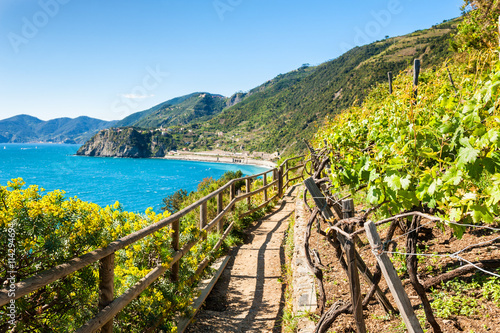 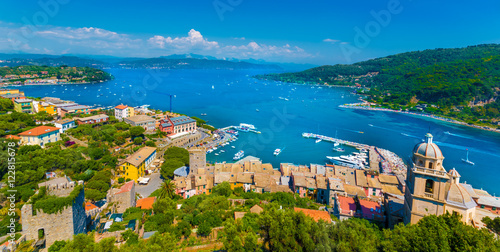 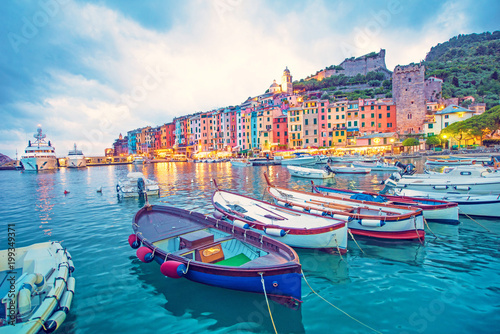 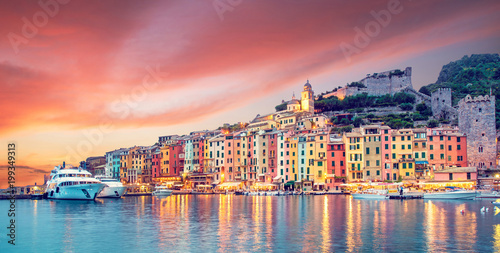 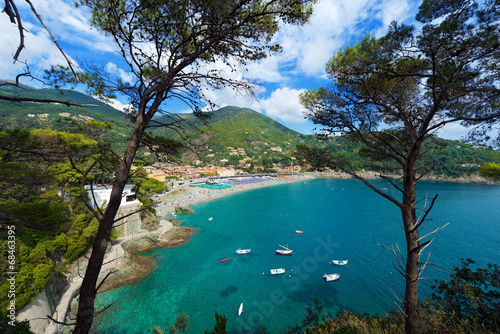 Panoramic View of the Bay in front of the Town of Vernazza on Blue Sky Background. 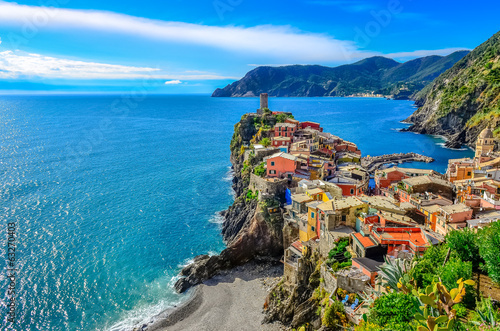 Aerial panoramic view of Vernazza fishing village in Five lands and Mediterranean Sea, Cinque Terre National Park, Liguria, Italy. 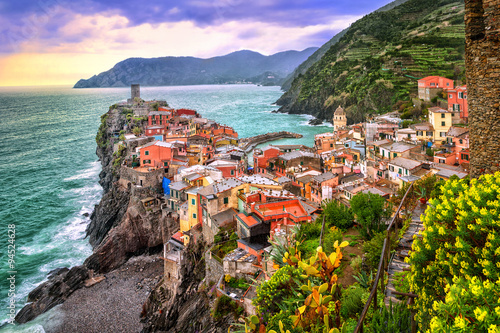 Vernazza. 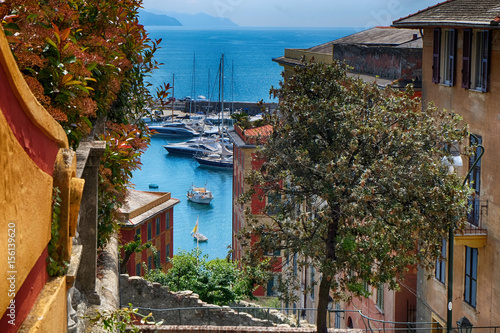 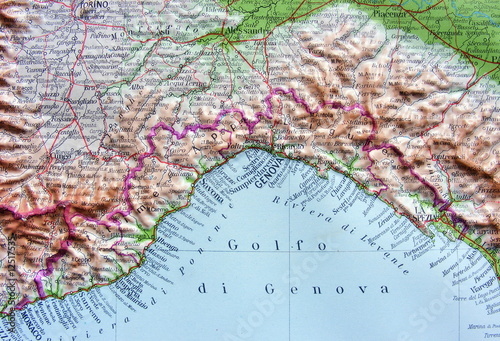 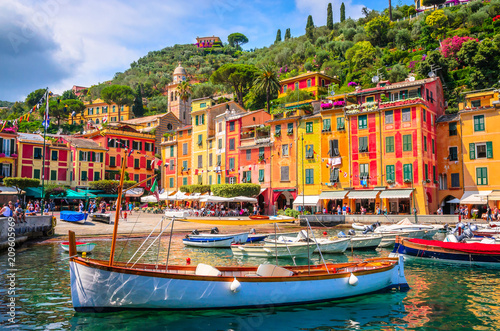 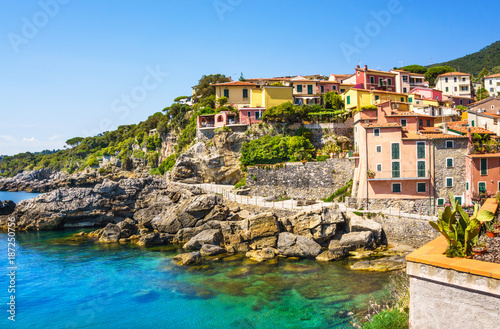 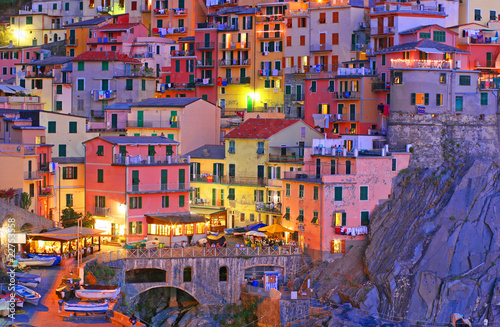 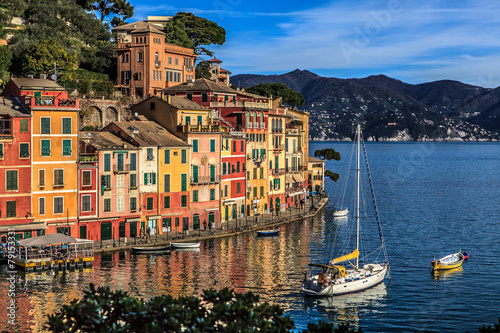 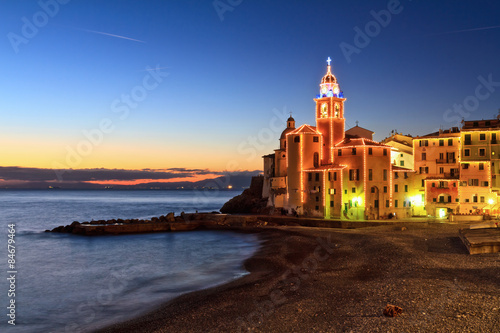 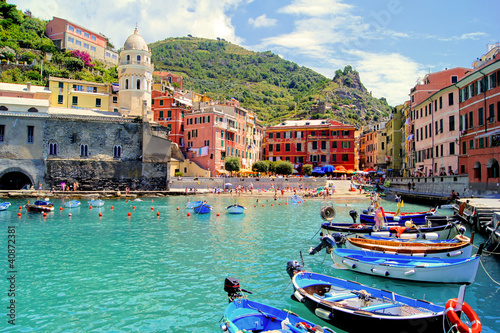 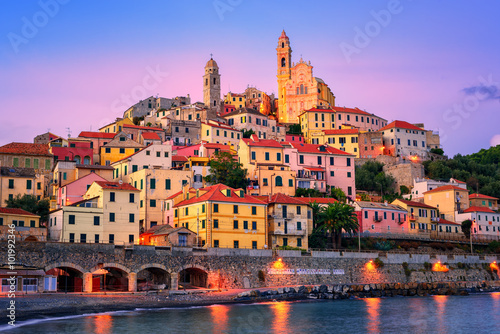 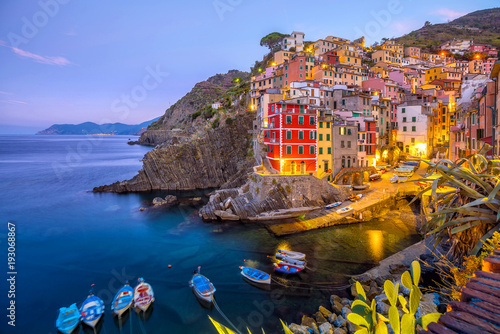 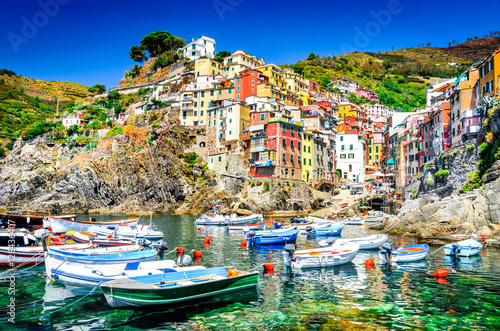 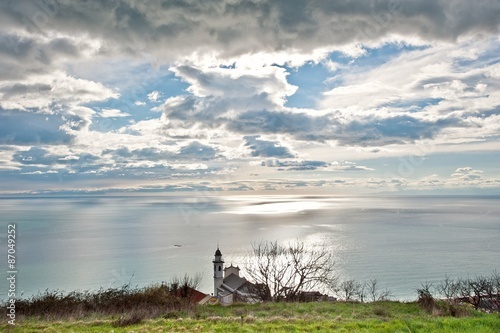 Ancient Italian village on the Mediterranean coast. 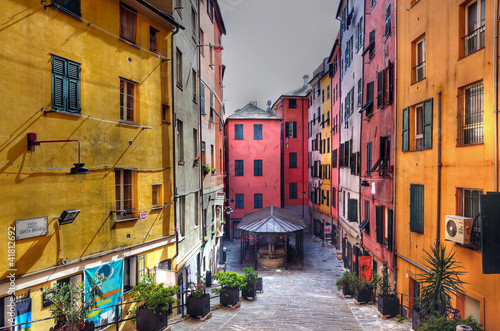 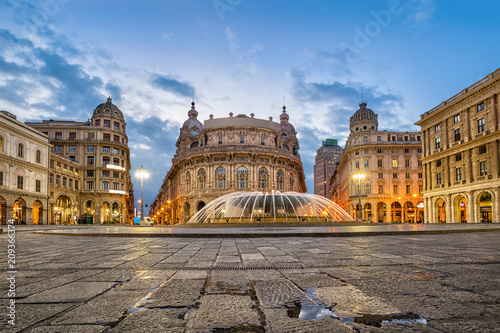 Beach promenade in old city center of Nice, French riviera, France, Europe.